NOTE: Ryan Whitfield and I also broke this game down in this weeks podcast, so give it a listen! The formula, again, is clear. In the Wild Card game, Bortles was mostly ineffective throwing the ball, but ended up being the leading rusher. That can’t happen this week. They need to give Fournette the ball as much as possible and limit Bortles’ ability to hurt them. Fournette has 1,049 rushing yards this season, 2nd most by a rookie in franchise history and his 268 rush attempts are the most in franchise history. Although he hasn’t been efficient with carries of late, he’s a big reason why the Jags have the most total rushing yards in the NFL. The Jags have been successful this season with the 5 highest time of possession of any team in the NFL (31:43), and I don’t see that changing in the Divisional Playoffs. As mentioned above, Bortles has been horrific of late, throwing 5 INTs in the last 2 games of the regular season, both of which they unsurprisingly lost. The Jaguars barely snuck by the Bills in the Wild Card. They’ll need to do more than sneak this weekend to stay competitive with the Steelers. The Jaguars not only have the best pass defense in the NFL, they’re also one of the most opportunistic having the second most takeaways in the league (33). And all of this is because the Jaguars are incredibly strong at all positions with regard to pass defense, from pass rushing to coverage. According to Pro Football Focus, Calais Campbell has churned out 81 pressures this season, which is the most among all 4-3 defensive ends through 17 games. But they do have some gaps against the run, plus they’re only 15th against RB receptions. And, unfortunately for the Jaguars, the Steelers have Le’Veon Bell. If there’s one thing the Jags have to gameplan for, it’s making sure Bell doesn’t break huge runs throughout the game. The Jaguars just don’t have an offense that can play catch up with a team like the Steelers. Big Ben has been here before. And he’s having a standout year averaging the 3rd most completions (24) for the 3rd most yards (283.4) and 6th most TDs (1.9) per game this season. And it looks like he’s likely to get his favorite target, Antonio Brown back. Brown is one of the best WRs of the year and was recently selected as the AFC Offensive Player of the Year. But it just wasn’t Brown that made Big Ben great. Antonio Brown was named the AFC Offensive Player of the Year by the NFL 101 Awards. According to Pro Football Focus, the Steelers’ offensive players have dropped just 5.65 percent of the catchable passes thrown their way this season, good for 3rd best in the NFL. And even further, fan favorite JuJu Smith-Schuster has dropped just two of the 60 catchable targets thrown his way, leading to a drop rate of just 3.33, good for 6th best mark among WRs with at least 75 targets. But the Jaguars have the BEST pass defense in the league, so we can expect a much more challenging environment for the Steelers pass offense this weekend. On the other hand, the Jaguars don’t have the best run defense in the league. In fact, they’re ranked a surprising 26th against the run in the NFL. And as it so happens, Le’Veon Bell isn’t half bad. Bell has the most carries (321) for the 3rd most rush yards (1,291) and 3rd most rushing TDs (9), while also having the most receptions (85) for the 4th most receiving yards (655) of any RB in the NFL. If the Steelers want to win against this imposing Jaguars defense, you can bet they’ll need a heavy dose of Bell. The Steelers defense is no joke, but they’re not as good as they’ve been in the past. Pass defense is solid, but that’s not where the Jaguars excel. Clearly, the focus needs to be on Leonard Fournette. 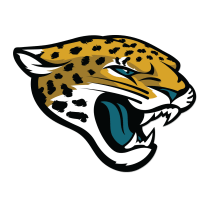 With the 18th ranked run defense, Fournette may have some room this weekend, and if he can move the chains, the Jaguars could potentially implement ball control to keep the game in reach. If there is any defense that can slowdown the Steelers, it’s the Jaguars. But the Jaguars will need to be practically perfect, not only against the pass, but against the run. If the Jaguars can cause a few turnovers, this could be a close game. 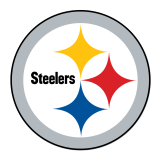 But I like the postseason experience and all-around firepower the Steelers have more so than the defense of the Jaguars. Plus, I suspect Bortles will turnover the ball at least once.